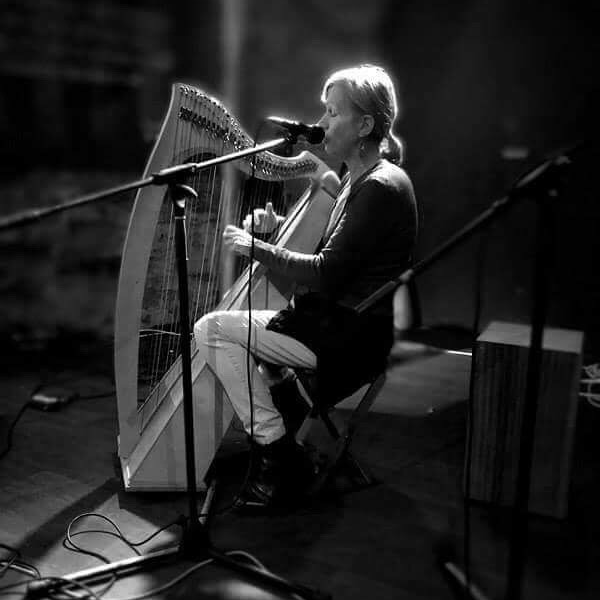 On Here and Now this week, Katee Kross is joined by clarsach player Pauline Vallance. On Here and Now this week, Katee Kross is joined by Pauline Vallance, award-winning singer/songwriter, clarsach and flute player from Ayrshire. Pauline was brought up in classical and folk traditions and kept music as a hobby until 10 years ago, when she learned the clarsach. She started writing songs and won a competition with the 3rd song she ever wrote. After that, she started taking it more seriously! Her aim is to write good quality songs and to play in as many places as possible, the more varied, the better. Recent highlights include playing at the Edinburgh Fringe Festival for the last 6 years, performing at Eden Festival (and pretending she’s a proper hippie! ), playing a Christmas concert at Stirling Castle and appearing in the Songwriters Uncovered Series in Greenock. She is also a regular at Mick Hargan’s open mic nights in Glasgow, as you’re never too old…. She plays in various bands aswell, including Celtic trio Caim, with whom she toured in Australia last year, and The Fusioneers, a Scottish/Indian fusion band. Caim will shortly be bringing out a CD ‘Red Winged Blackbird’. Pauline’s first CD ‘Songs Spells and Salsa Moves’ has recently come out on iTunes, Spotify, etc and she hopes to record another solo CD this year.